“Like father, like son,” goes the saying. It was certainly true for Cain. For Adam’s sin, God’s punishment was to send him out of Eden and make him labor to bring forth food from the earth. For killing his brother Abel, God punished Cain by making sure the land produced no crops for him and forcing him to wander the earth. And so original sin becomes the norm for human kind. In order for people to have a relationship with him and to have forgiveness of their sins God set up the practice of animal sacrifice. But people abused it by going through the motions without repenting of their sins. At the right time, God sent his Son Jesus into the world to pay with his own life for humanity’s awful debt of sin. Jesus was proclaimed “The Lamb of God” by John the Baptist. Jesus was God’s sacrifice for us and all people to pay for our sin once for all. 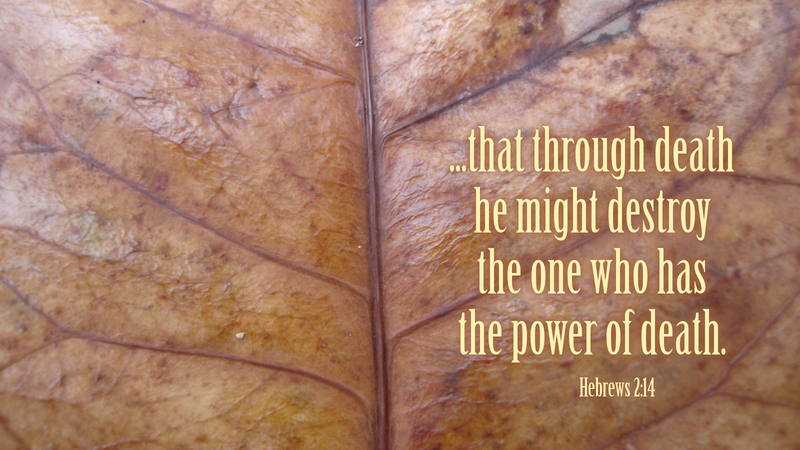 In Hebrews 2 we learn that Jesus made possible our restored relationship with God. Through Christ our Brother we have access to the Father. All who believe and are baptized are saved! Thanks be to God. Prayer: Heavenly Father, grant that all of us who are baptized and believe the faith to proclaim Jesus Christ as Savior and Lord to all we meet. Amen. Sign me up to receive Daily devotions please. Bob, we are working on an email subscription service for these devotions. At present, that service is not available.